Herb Ames, President & CEO, Devin Group, Inc.
Network, ask questions and share insights with our online community. Another benefit of NJBIA membership. NJBIA scored the regional rates from 1 (least competitive) to 7 (most competitive). See where we landed. Veteran political insider Frank Robinson is entering the digital world with Take on Trenton, a monthly look at the issues and people who are shaping economic policies in the Garden State. NJBIA Members now have the opportunity to participate in a quality group Health Benefit Plan. Options for a business like yours. Make the most of your membership. All our benefits at your fingertips. The place where employers can find skilled workers and skilled workers can find opportunities. Advocacy, small business assistance, free legal hotline, health benefits solutions, money saving benefits and more. 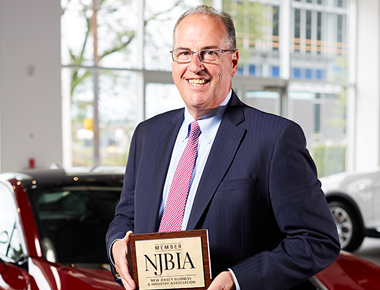 Tell NJBIA's New Jersey business advocate how we can improve our value to members. View NJBIA videos from our YouTube channel that include past webinars, informational clips, event coverage and more.